As a child, Michele Wood attended School #110 on the northeast side of urban Indianapolis. Now she spends much of her time visiting schools like hers, schools serving diverse and often struggling communities, where students crave inspiration and engagement but often feel overlooked. Since her career as an artist and illustrator took off in the 1990s, Wood has made it a habit to hold an event in just such a place whenever she visits a new city. It’s part of her mission of promoting racial equality and encouraging cultural communities through children’s books. 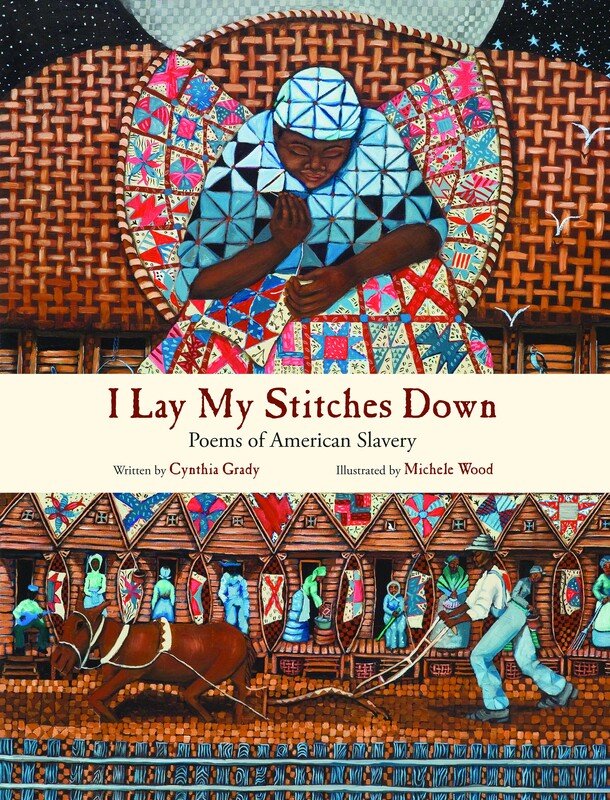 Last year Wood, a Coretta Scott King medalist and the illustrator of I Lay My Stitches Down, launched the Indy Book Zone campaign to promote that mission of quality and diversity. In its first year, with the help of publishers and other community partners, Indy Book Zone was able to collect more than 120 books to distribute to schools and communities in Indiana. EBYR was proud to donate several books, including a copy of I Lay My Stitches Down. The books were given to several schools in Indianapolis and Kokomo, IN, as well as Jack and Jill of America, an African American family organization.